Doctor as teacher. The word “doctor” comes the Latin word “to teach” because it was the responsibility of the doctor to educate on the factors that affect health. In the conventional world, this was forgotten to a large extent. 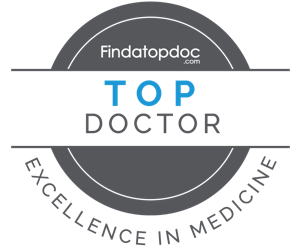 I proudly embrace this role as a naturopathic doctor. I consider it the most important healing principle. True preventative medicine, whether it is functional, naturopathic, Chinese, Ayurvedic, or allopathic, starts with an awareness and understanding of the lifestyle choices that influence health. As a Naturopathic Doctor, I provide my patients with individualized and evidence-informed therapies that balance the least harmful and most effective approaches to treat the underlying cause of disease. I address the physical, environmental, lifestyle, and emotional aspects of health. This provides a unique opportunity for disease prevention and health promotion through patient education. I strive to help my patients restore and maintain optimal health so that they can live a passion driven life. My areas of interest include metabolic health, longevity, nutrition science for optimal physical and mental performance, sleep architecture, gut immunology and the microbiome, and how that relates to autoimmune disease and chronic illness. First office visits are 90 minutes. A fundamental principle to naturopathic care is the commitment to treat the whole person. This requires a thorough initial consultation. And while everyone’s goal might be to feel healthier, I will ask you about your specific goals and expectations. Your consultation and treatment plan will reflect this. Food will be a focal point. I will ask you specific questions about your diet, such as how you feel after eating certain foods. To prepare for your first appointment, I strongly suggest keeping a food journal for a few days leading up to your first visit. I spend a lot of time gathering and then analyzing critical information from all aspects of life that may impact health and well-being, including sleep and dietary patterns, stress and energy levels, physical activity, pelvic and sexual health, mental health, digestive function, bowel habits, menstrual history, medication and supplement use, as well as personal and family medical history. What about physical exams? Naturopathic physicians are trained as primary care providers. Just like your family doctor, I will conduct a thorough and focused physical exam. Using the information obtained from your initial consultation, physical examinations, and appropriate laboratory testing, I will be able to formulate a treatment plan. This may include herbs, acupuncture, nutritional counselling, supplementation, or a combination. In every case, diet and lifestyle will be discussed. These changes form the foundation for a strong, robust and resilient body!